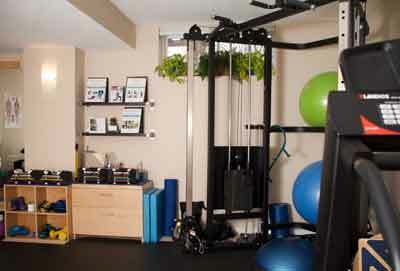 MelioGuide is a Physiotherapy and Personal Training studio located in Ottawa, Ontario. The studio is a private and professional setting that enables you to learn and progress in your personalized program. Programs are developed by our team of Physiotherapists specifically to achieve your fitness goals, address your specific needs for posture improvement, injury recovery, pelvic health, knee or hip replacement recovery, or osteoporosis. 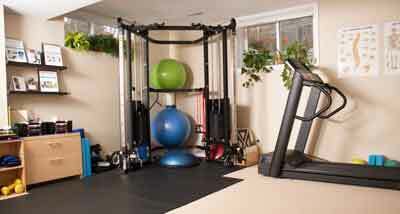 MelioGuide is fully equipped with all the equipment you would ever need in a home gym or full fitness centre. Working one-on-one with one of us, the studio can become your workout centre. For many of you, it will be a place to develop your personal program that you can continue to do in your own home or fitness centre. You are welcome to park in the driveway when space is available. There is also one-hour free parking just across the street. When you come towards the end of Carwood, turn left so that you end up on the right side of the street for parking. 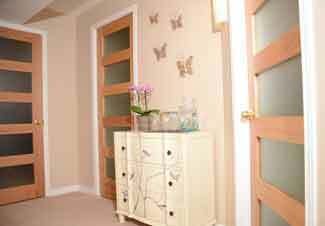 The studio is located in a residential home at the top of the circle. Exit at St. Laurent Blvd. Take a left onto St. Laurent. Go two blocks and take a right on Ogilvie. Stay on Ogilvie for several blocks. Take a left onto Aviation Parkway. Take a right onto Montreal Road. Take your next right onto Den Haag. Your next left will be Carwood Circle. I am located at 136 Carwood. There is parking across the street, near the mailbox. Follow Aviation Parkway down to Montreal Road. Rideau Street East becomes Montreal Road. Follow Montreal Road past Aviation Parkway.